Apple and Google compete in a whole host of areas, from mobile operating systems to music platforms, so it follows that they have competing streaming media protocols as well—something that we’ve been hearing plenty about at CES 2019. But how exactly do these technologies work? And how do they stack up against each other? 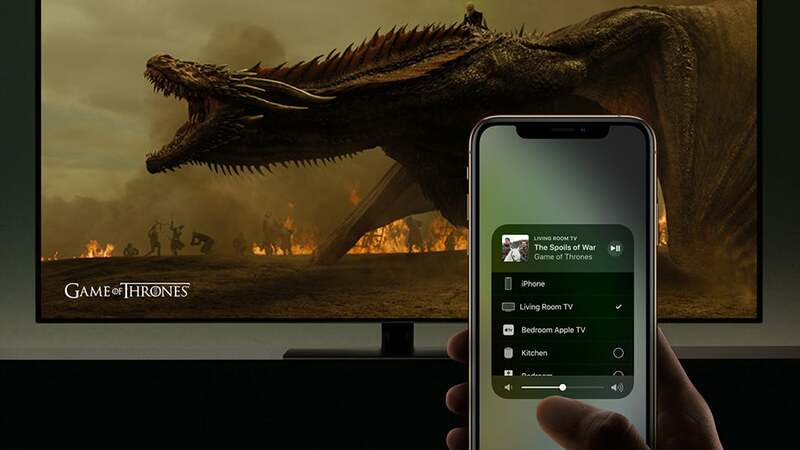 Here we’ll guide you through the ins and outs of AirPlay 2 from Apple (the new upgrade to the original AirPlay) and Google Cast, which is the streaming tech that comes built into Chromecasts (the Chromecast is the player, Google Cast is the standard). If you’re confused about finding a place for these standards in your smart home, this should help. AirPlay 2 and Google Cast essentially do the same job, hence this comparison piece: They take a streaming media file from one device (like your phone) and put it on another (like your TV). If you’ve ever sent a YouTube video from your phone to your Chromecast dongle then you know how the tech works in practice. These two standards support audio, video, images, and screen mirroring. In some apps and scenarios, content is streamed directly over your local wifi network; in other cases, the receiving device picks the relevant stream straight from the web rather than the device you’re initiating the stream from. 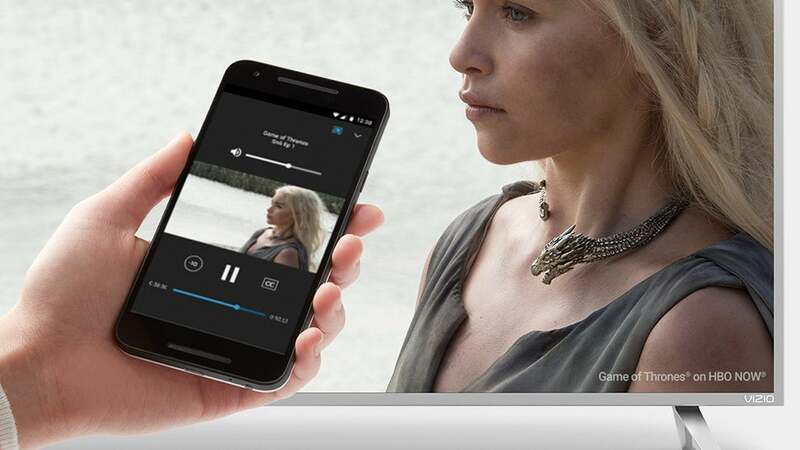 Google Cast primarily uses the second method—pulling content from the web, whether that’s a Spotify song or a YouTube video. If you walk out of the house, your stream carries on playing, you just won’t be able to control it any more. Casting a web browser tab is one scenario where the connection is done directly over your wifi network, though. 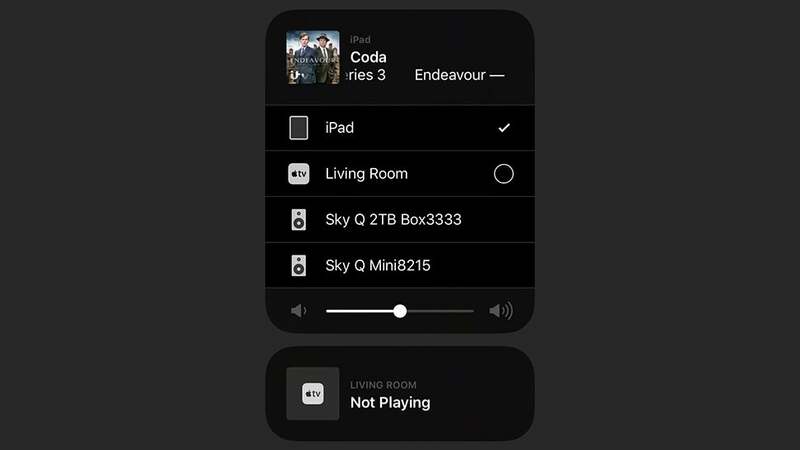 Traditionally, AirPlay 2 has used the first method, pushing the stream from one device to another via Bluetooth or your local wifi network. There are are now a growing number of exceptions though, including playing Apple Music tunes on a HomePod or iTunes movies on an AirPlay 2 compatible TV, where the stream is picked up directly from the web (you’ll see the option to AirPlay straight from iCloud on an Apple TV). The benefits of the straight-from-the-web approach are that it takes some pressure off the sending device, so your phone (for example) won’t be using up as much battery or processor. The benefits of the device-to-device option, which is only available in some AirPlay scenarios (say, streaming content already downloaded to an iPhone), is that it works in places without access to an outside network. If the stream is being picked up from the web, AirPlay still requires a sending device to be connected: Beam a purchased iTunes movie or a Netflix show from an iPad to an Apple TV via AirPlay, for example, and if the iPad is disconnected from the web the stream stops. Stream a video from an iPad to a Chromecast via Google Cast, on the other hand, and the stream carries on even if the iPad disappears from the network. As we’ve said, on a basic level, these two standards do the same job: Get content from a small screen up on a big one. However, there are differences, both in the devices and apps you can use, and the various features you’ve got available to you. Both AirPlay and Google Cast let you use the sending device as a remote to control whatever’s on screen. You can also carry on using other apps on your phone and tablet while streaming—this hasn’t always been the case with AirPlay but seems to work more often now based on our testing, at least with content pulled from the web, like YouTube. Some differences depend on the app. Say you’re beaming videos from YouTube on an iPhone, either via AirPlay (to an Apple TV) or Google Cast (to a Chromecast). The latter option lets you queue up videos to view next, which you can’t do with AirPlay (though you can still carry on browsing other videos). On Netflix, you can browse other titles while Google Casting but not while AirPlaying. 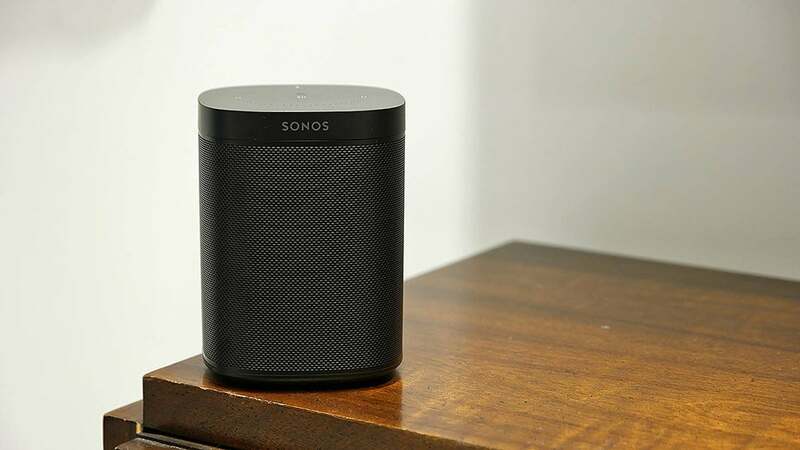 As far as audio goes, both these standards support multi-room audio playback, so you can send podcasts or music to several connected speakers rather than just one, and have your tunes follow you around from room to room. AirPlay 2 has added the option to pick speakers and control volumes separately from Control Centre in iOS. Smart assistant integration is available in both Google Cast and AirPlay as well, depending on the devices you’re using. You can use either Google Assistant or Siri to get videos or music sent to a different device using only your voice, assuming the relevant hooks are built into whichever app you’re trying to stream from. In terms of video resolution, for the time being AirPlay is limited to 1080p—you can download content straight to an Apple TV 4K from iTunes and play it in 4K that way, but if you’re using AirPlay, 1080p is the limit. Google Cast can support 4K video streams, as long as you’re using a 4K source (like Netflix) and a 4K player (like the Chromecast Ultra). It’s here that you’ll find the biggest differences between AirPlay and Google Cast. Google Cast just needs an Android device or Chrome browser. While Apple has just begun to put AirPlay on hardware it doesn’t make itself—primarily smart speakers and smart TVs—you still need an iOS device, a Mac, or iTunes on Windows to do the sending (with AirPlay in iTunes for Windows limited to audio). There’s no AirPlay option available on Android, not even in the Apple Music app. As for receiving devices, the ones that grab the most attention are the Apple TV 4K for AirPlay and the Chromecast for Google Cast. For AirPlay, you’ve also got the HomePod, as well as a growing number of speakers and television sets: Apple has a full list here, and you can expect it to keep getting longer. 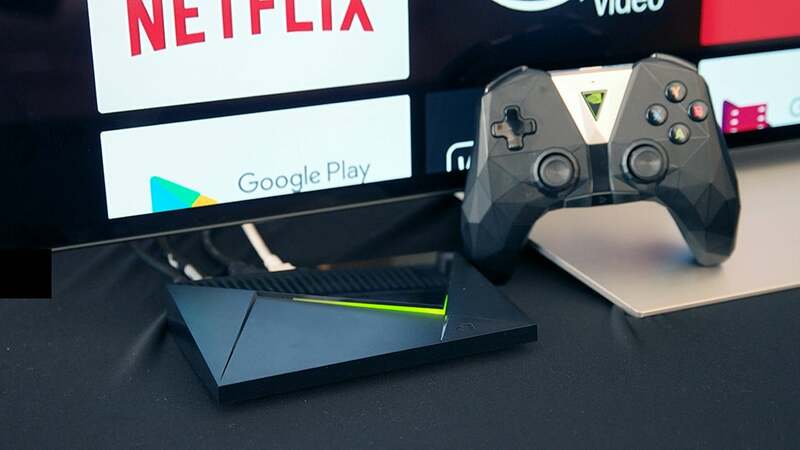 Other Google Cast compatible devices include Google Home speakers of varying sizes, as well as Android TV sets, that have Chromecast functionality built right in, and the Nvidia Shield. 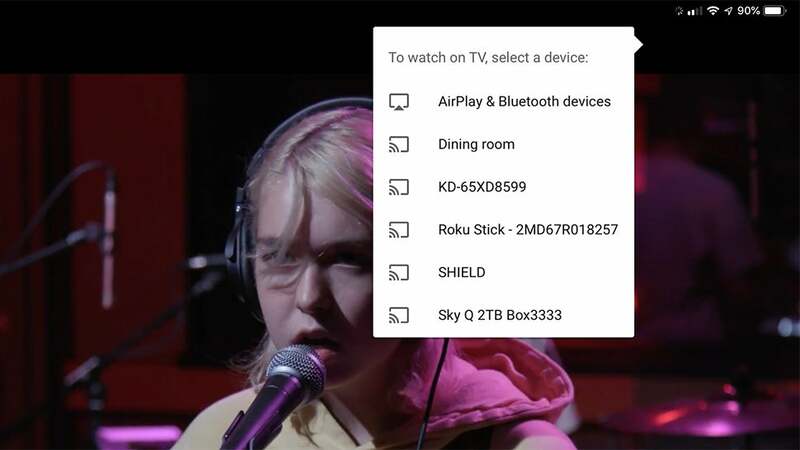 Various third-party devices also have Google Cast support, covering TVs and speakers, just like AirPlay—check out the official list from Google. That list doesn’t include Sonos speakers: They’re getting Google Assistant support, but not Google Cast support, despite being ready for AirPlay 2. As for mobile apps, as you would expect there’s no Google Cast support in the native audio and video apps for iOS, which are AirPlay only. Just about every third-party app on iOS supports AirPlay, and must support Google Cast too, including YouTube (and YouTube TV), Netflix, Spotify, and HBO. One notable exception is Amazon Prime Video, which only supports AirPlay on iOS. Amazon Prime Video is also one of the few apps for Android that doesn’t support Google Cast. Just about every other audio and video app bar Apple Music does, including all the ones we just mentioned above. Predictably, AirPlay is nowhere to be found, as we’ve already said, unless you want to put your content in the hands of a third-party app. To see a full list of Google Cast-enabled apps, click here. As with so many other tech choices of the modern age, AirPlay versus Google Cast is not so much about the features but about the surrounding ecosystem: If you’re all-in on Apple hardware (and iTunes movies), you’re going to pretty much have to go with AirPlay 2; for everyone else, Google Cast provides a technology that’s just as impressive.